Be the first to share your favorite memory, photo or story of Leyna. This memorial page is dedicated for family, friends and future generations to celebrate the life of their loved one. Leyna Mae Jensen was born sleeping in the hands of God on Monday, March 4, 2019 at 7:46 p.m. at Marshfield Medical Center. 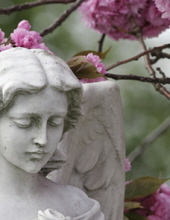 Funeral Services will be held at St. Mary’s Catholic Church, Auburndale beginning at 10:30 a.m. on Monday, March 11, 2019 with Father Antony Arokiyam officiating, along with the assistance of Deacon Ray Draeger. Leyna is survived by her Dad and Mom, Kevin and Liza Jensen; her brothers Tristan Jensen and Quenton Jensen; her maternal Grandparents, Leonard and Diane Kremer, Sr.; her paternal Grandmother, Annette Jensen; and numerous aunts, uncles, and cousins. Leyna is preceded in death by her paternal Grandfather, Ronald Jensen. Little did we know that morning, God would call your name. In life we loved you dearly, in death we do the same. It broke our hearts to lose you, you did not go alone, for part of us went with you, the day God called you home. You left us beautiful memories, your love is still our guide, and though we cannot see you, you are always by our side. Our family chain is broken and nothing seems the same, but as God calls us one by one, the chain will link again. Leyna, you will always be our “Little Angel”. "Email Address" would like to share the life celebration of Leyna Mae Jensen. Click on the "link" to go to share a favorite memory or leave a condolence message for the family.